Morphic Therapeutic is leading the development of a new generation of oral integrin drugs. Drawing on discoveries made in the lab of Scientific Founder Tim Springer, Morphic is advancing preclinical programs in autoimmunity, fibrosis, vascular disorders and immuno-oncology. Morphic was created in 2015 with support from Timothy Springer, PhD, Polaris Partners, Schrödinger Inc., and ShangPharma. New investors SROne, Pfizer Ventures, Omega Funds and AbbVie joined for the Series A round in June 2016. 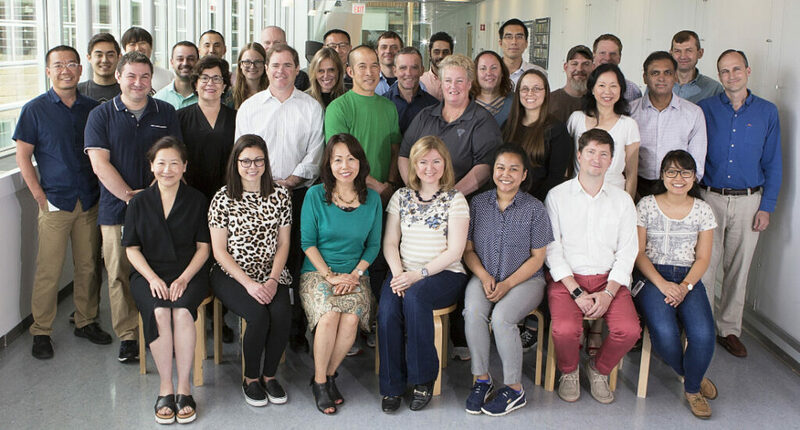 In September 2018, Morphic Therapeutic completed a $80 million Series B financing round to advance multiple programs into the clinic. The round was co-led by Omega Funds and Novo Holdings, along with new investors Invus and EcoR1 Capital, in addition to Morphic’s Series A investors. Praveen Tipirneni, MD is President and CEO of Morphic Therapeutic Inc. 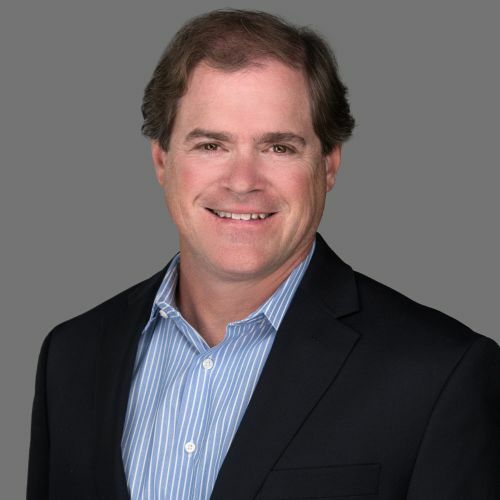 Previously, he was Senior Vice President of Corporate Development and Global Strategy at Cubist Pharmaceuticals, a position in which he served from 2002 until the company’s acquisition by Merck in 2015. In his time at Cubist, he was a member of the clinical group working on the Cubicin NDA (skin and skin structure infections) and sNDA (Staph. Bacteremia and Endocarditis) teams. He was head of business development since January 2006. Prior to joining Cubist, Dr. Tipirneni worked at Sun Microsystems in corporate strategy, Covad Communications in Corporate Strategy, and Deltagen in business development. He also served time as a 1st Lieutenant in the U.S. Army. Dr. Tipirneni received a bachelor’s degree from MIT in mechanical engineering and an M. D. from McGill University. After completing his post-graduate residency in Internal Medicine at University of Illinois, Chicago, he received his MBA from the University of Pennsylvania’s Wharton School of Business in healthcare finance. Bruce Rogers, PhD is Chief Scientific Officer at Morphic Therapeutic Inc. He brings over 20 years of drug discovery experience across pre-clinical and early stage clinical development programs, medicinal chemistry, biology, partnering and R&D strategy. 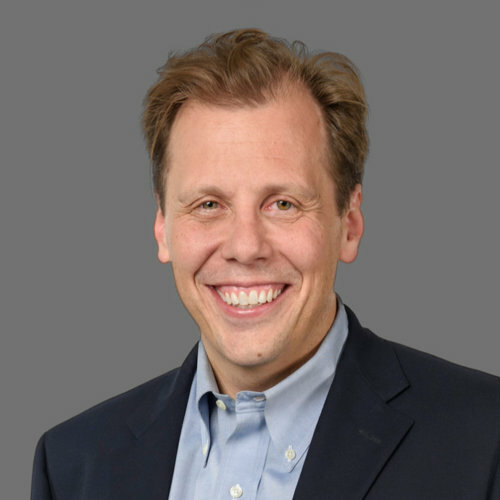 He was most recently the Head of Neuro-Opportunities at Pfizer, where he led a team focused on entrepreneurial approaches to long standing CNS biology challenges, including direct brain delivery of protein therapeutics for PD and oncology approaches. Bruce spent 16 years in positions of increasing responsibility within the medicinal chemistry organization at Pfizer and Pharmacia, and during his time there led multiple discovery and early clinical development teams, with his group advancing over a dozen small molecule candidates into clinical trials for a broad range of neuroscience indications. Bruce has co-authored more than 50 scientific publications, reviews and abstracts and is a co-inventor on over 40 patents and patent applications. He holds a BA in chemistry from the University of Minnesota, a PhD in organic chemistry from the University of California at Irvine. He was a National Institutes of Health postdoctoral fellow at the University of California prior to joining the pharmaceutical industry. Alexey A. Lugovskoy, PhD is Chief Development Officer of Morphic Therapeutic Inc. Previously Alex served as a Vice President of Therapeutics of Merrimack Pharmaceuticals, where his efforts were instrumental to the discovery of five oncology drug candidates and the development of antibody and antibody-drug conjugate R&D capabilities. Also, he led the development of istiratumab from the design concept into the biomarker selected Phase 2 clinical trials. Before joining Merrimack, Alex served as Associate Director of Drug Discovery in Biogen. There, he co-discovered inhibitors of three integrins and was a member of natalizumab PML risk mitigation team. Alex is an Assistant Editor of mAbs and a member of the advisory council of RBV Capital. He is an author of over one hundred patents and publications. Alex has received an Advanced Certificate for Executives in Management, Innovation and Technology from MIT Sloan School of Management, a PhD in biophysics from Harvard University, and an MSc in molecular biophysics and BSc in math and physics from Moscow Institute of Physics and Technology. Blaise Lippa, PhD is Head of Chemistry at Morphic Therapeutic Inc. He was employee number two at the company, and a part of the initial company formation in June 2015. Prior to this, Blaise was a Senior Director of Medicinal Chemistry at Cubist Pharmaceuticals from 2008 to 2015, with a focus on antibacterials, pain and Inflammatory Bowel Disease (IBD). At Cubist, he led teams that advanced multiple compounds to the clinic, and served on a development team that achieved an NDA prior to the purchase of the company by Merck. Blaise began his career in medicinal chemistry at Pfizer in 1999. He conducted advanced drug design in multiple therapeutic indications, including oncology, antibacterials and metabolic diseases. At Pfizer, Blaise was successful in advancing multiple compounds to clinical study, including an oncology therapy currently in a phase 2 trial. Blaise obtained dual B.Sc. degrees in chemistry and molecular biology from the University of Michigan at Ann Arbor in 1995, and his Ph.D. from Stanford University in 1999 while working with Professor Paul Wender. Blaise is an author of over 60 publications and patents. Liangsu Wang, PhD joins Morphic Therapeutic as Head of Biology. Liangsu Wang has spent last 12 years at Merck and worked on drug discovery programs in the areas of Infectious Diseases, Cardiovascular Diseases, and Diabetes & Endocrinology. In recent year, she served as Executive Director, Diabetes & NASH Late Discovery, and was accountable for the drug discovery portfolio across all stages, as well as discovery support of clinical development programs (Phase 1 to 3) spanning small molecules, peptides, and biologics. She was managing a team of ~30 scientists. She established and executed the scientific strategy for NASH discovery research at MRL. She led the team and built the NASH discovery platform including in vitro and ex vivo systems, and multiple animal models. 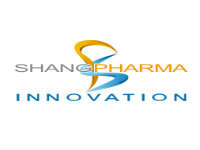 Over the years, Liangsu has been strong scientific and strategic driver for external innovations with proven track-record in establishing and leading collaborations with multiple partners in academia and industry. she also represented Merck externally in a variety of forums. 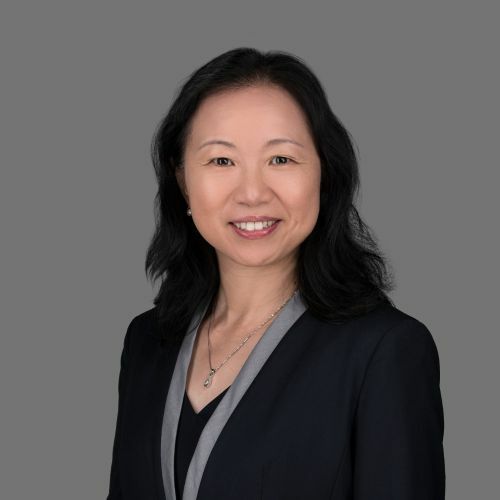 Prior to joining Merck in 2004, Liangsu spent four years with Elitra Pharmaceuticals, where she directed a multi-disciplinary team to prioritize and select antibiotic targets for internal drug discovery and external collaborations including three large collaborations. She also worked at Digital Gene Technologies, Inc. for three years at the early stage of her industrial career. 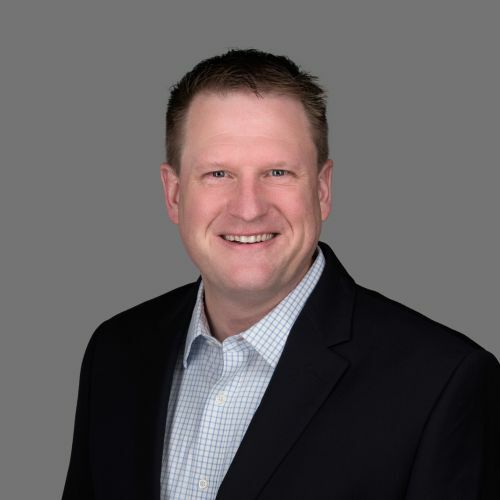 Adrian S. Ray, PhD is Vice President and Head of Translational Sciences at Morphic Therapeutic Inc. Adrian has broad experience from target selection to registrational filing. 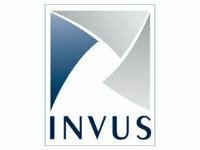 He was previously Senior Vice President, Discovery Biology at Nimbus. Prior to Nimbus, Adrian was at Gilead Sciences where over the past 15 years he held positions of increasing responsibility in research and development, serving most recently as Senior Director Clinical Research. He has directly contributed to advancing more than six new chemical entities targeting antiviral, inflammation and oncology indications to IND filing and clinical proof-of-concept. He was a member of the teams responsible for the successful worldwide registrational filings for sofosbuvir, tenofovir alafenamide and their respective fixed-dose combinations. He has published over 100 peer-reviewed papers and is an inventor on 27 U.S.-granted patents and numerous international filings. Adrian was honored with the William H. Prusoff Young Investegator Lecture Award by the International Society of Antiviral Research in 2014. Adrian graduated with highest honors from the University of California, Santa Cruz with a BA in Molecular, Cellular and Developmental Biology and received his PhD for his work in the Pharmacology Department at Yale University. Robert E. Farrell Jr., CPA is Vice President of Finance/Operations and Treasurer at Morphic Therapeutic Inc. and was part of the initial company formation in June 2015. 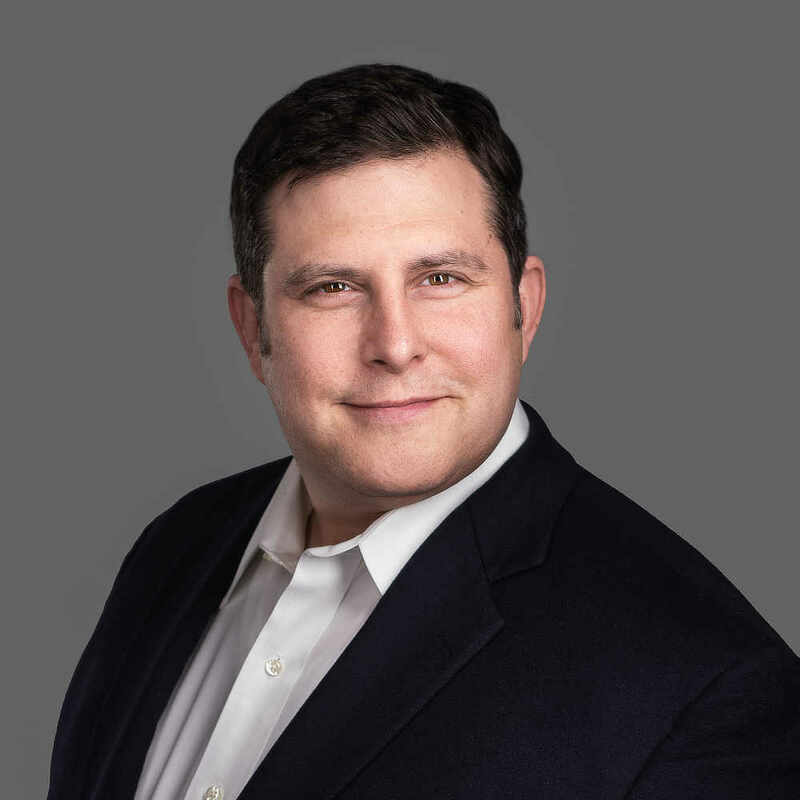 Prior to joining Morphic Therapeutic, he served as Vice President of Finance and Administration and Treasurer of Genocea Biosciences from 2009 to 2015. Before that, he held senior level financial positions at Oscient Pharmaceuticals, Magen Biosciences and NeoGenesis Pharmaceuticals, Inc., where he directed companies through multiple private financings, acquisitions and several public offerings. Mr. Farrell is a licensed certified public accountant and holds a B.S. degree in accounting from Bentley University. William DeVaul is General Counsel and Secretary at Morphic Therapeutic. Bill brings more than two decades of experience as an attorney for public and private biopharma companies. Most recently, as Evelo Biosciences attorney, Bill was responsible for Evelo’s legal activities and intellectual property development and helped Evelo through an initial public offering in May 2018. Prior to Evelo, he represented Cubist Pharmaceuticals for 11 years up to its acquisition by Merck for $10B. Among his responsibilities as an attorney at Cubist, Bill led numerous licensing and collaboration deals, including public company acquisitions. Prior to Cubist, Bill practiced as an attorney at law firms in Boston and New York. Bill earned a law degree from Boston University School of Law and an undergraduate degree in Biochemistry from Columbia University. Gustav Christensen was President and CEO of Dyax Corp (NASDAQ: DYAX) from January 1, 2009 till it was acquired by Shire for $6.5 billion in January 2016. He joined Dyax early 2007 as EVP and Chief Business Officer. Mr. Christensen realigned and evolved Dyax from a broad based R&D company to a focused fully integrated biopharmaceutical company. The Company marketed KALBITOR®for the treatment of acute attacks of hereditary angioedema (HAE) and was developing DX-2930, a fully human monoclonal antibody inhibitor of plasma kallikrein, as a subcutaneous injection for the prevention of HAE attacks. Dyax also had an evolving pipeline of fully human monoclonal antibody drug candidates with potential to address various orphan diseases. Dyax has broadly licensed its phage display technology and is eligible to receive royalties from a portfolio of products and product candidates being marketed and developed by its licensees. Mr. Christensen began his career at Baxter International, where he held positions of increasing responsibilities both in the international and domestic businesses – his last position being Vice President of Operations of the Fenwal Laboratories division. He left in 1983 to become the Vice President of Business Development at Genetics Institute from 1983 to 1988. Additionally, he has been the CEO, Chairman or a Director of several private and public biotechnology companies. Mr. Christensen was also a founding investor in Diatide, acquired by Schering AG for $140 mill, Phase Forward acquired by Oracle for $700 mill and Geltex Pharmaceuticals acquired by Genzyme for $1 bill. Mr. Christensen received his Master of Science in Economics from the University of Aarhus, Denmark and his Master of Business Administration from Harvard Business School. Timothy Springer, PhD, Founder, Morphic Therapeutic is Latham Family Professor at Harvard Medical School and Professor of Medicine at Children’s Hospital Boston. 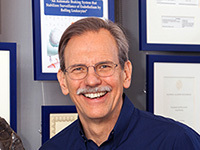 Tim Springer, Ph.D. – an immunologist and biophysicist serving as Latham Family Professor at Harvard Medical School and Boston Children’s Hospital – discovered integrins and their ligands in the 1980s and since then, has worked on elucidating regulation of their biological function. His pioneering work resulted in the detailed characterization of integrin structure and robust understanding of biophysical phenomena underlying their activation. This has led to the founding of multiple biotechnology companies (LeukoSite , Scholar Rock, Morphic Therapeutic) and approved therapeutics including Amevive®, Raptiva®, Campath®, Velcade®, and Entyvio®). Morphic Therapeutics Inc., capitalizes on his 15 years of study of the molecular mode of action underlying unproductive interactions between small-molecule drugs and their integrin targets in the disease tissue. These findings make possible small molecule antagonists which reverse their activation by preventing them from occupying disease-specific signaling and conformational states. Tim is a member of Morphic Board of Directors and Scientific Advisory Board and provides strategic guidance to all research and development activities of Morphic Therapeutic. Praveen Tipirneni, MD currently serves as President and CEO, Morphic Therapeutic. 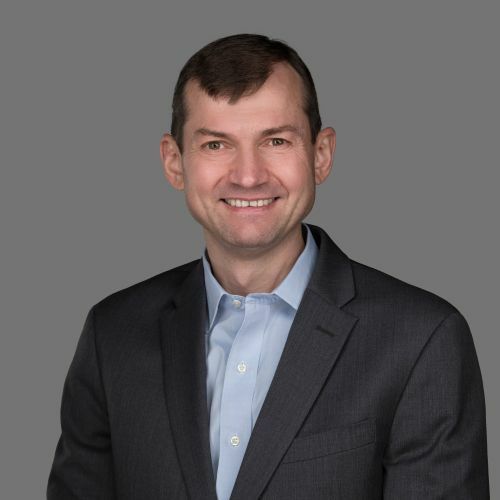 Previously, he was Senior Vice President, Corporate Development and Global Strategy at Cubist Pharmaceuticals from 2002 until the ~$10 billion acquisition by Merck in 2015. In his time at Cubist, he has served in the Clinical group working on the Cubicin NDA (skin and skin structure infections) and sNDA (Staph. Bacteremia and Endocarditis) teams. He has been head of Business Development since January 2006. 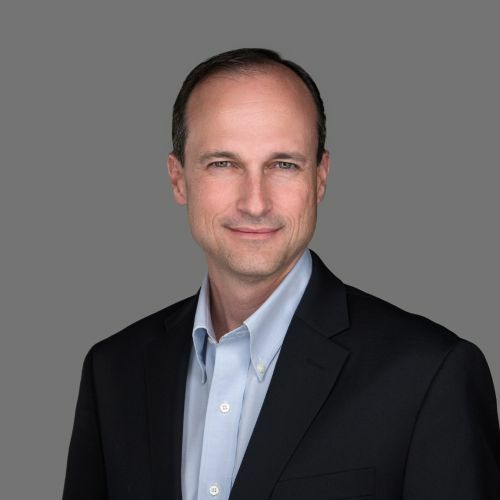 Prior to joining Cubist, Dr. Tipirneni worked at Sun Microsystems in Corporate Strategy, Covad Communications in Corporate Strategy, and Deltagen, in Business Development and also served time as 1st Lieutenant in the U.S. Army. Dr. Tipirneni received a bachelor’s degree from MIT in Mechanical Engineering, an M.D. from McGill University. After completing his post-graduate residency in Internal Medicine at University of Illinois, Chicago, he received his MBA from the University of Pennsylvania’s Wharton School of Business in healthcare finance. 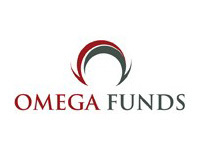 Otello Stampacchia, PhD founded Omega Funds in 2004 and leads the firm’s investor relations and strategic initiatives. Otello is a member of Omega’s investment committee and is also heavily involved in a number of the firm’s therapeutic areas of interest, particularly in oncology, rare diseases and inflammatory disorders. Previously, Otello was in charge of life sciences direct investments and diligence for healthcare venture fund of fund investments at AlpInvest Partners, one of the largest private equity asset managers worldwide. Before AlpInvest, he was the portfolio manager of the Lombard Odier Immunology Fund, a $3 billion listed investment vehicle in Geneva, Switzerland, investing in public and private healthcare companies worldwide. Previously, Otello was a member of the HealthCare corporate finance and M&A team at Goldman Sachs (London and New York offices). Before Goldman, he helped co-found the healthcare investment activities at Index Securities (now Index Ventures). Otello has a PhD in Molecular Biology from the University of Geneva, holds a European Doctorate in Biotechnology from the EU, and obtained an MSc in Genetics from the University of Pavia. 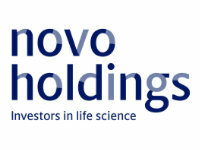 Nilesh Kumar, PhD joined Novo Ventures (US) Inc. in Boston in 2015. Prior to joining Novo, Nilesh was Senior Director at MS Ventures where he invested in early stage life science companies. Nilesh led the initial investments and served on the Boards of Auxogyn, Canbex, f-Star, Raze Therapeutics, RaNA Therapeutics, Padlock Therapeutics and TocopheRx. 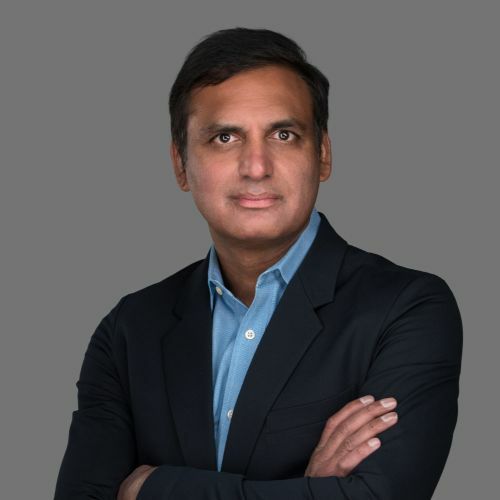 In addition to his venture investment role, Nilesh has successfully led several strategic licensing transactions at Merck Serono in oncology and autoimmune therapeutic areas. Nilesh received his PhD from the Department of Chemistry and Chemical Biology at Harvard University. He holds an MBA from Harvard University, and did his undergraduate degree in Natural Sciences from the University of Cambridge, UK. 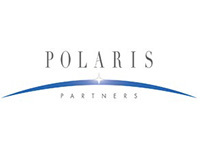 Amir currently represents Polaris as a Director of AgBiome, aTyr Pharmaceuticals (NASDAQ: LIFE), Fate Therapeutics (NASDAQ: FATE), Jnana Therapeutics, Marauder Therapeutics, Metacrine Therapeutics, Morphic Therapeutic, Olivo Labs, Promedior Pharmaceuticals, Scholar Rock, Selecta Biosciences (NASDAQ: SELB), Sofregen Medical, Syros Pharmaceuticals (NASDAQ: SYRS) and TARIS Biomedical. Barbara J. Dalton, PhD is Vice President Venture Capital at Pfizer Inc.
Barbara has led the Pfizer Venture Investments team since joining Pfizer in 2007. The venture team has invested in 48 companies and ten funds pursuing products, technologies and services, relevant to all aspects of Pfizer’s business, since inception in 2004. 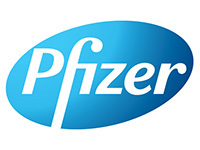 The team has been successful in fulfilling their goal of providing financial and strategic returns to Pfizer. 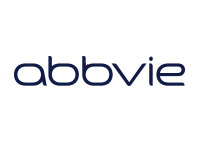 Barbara currently represents Pfizer’s investments in Ablexis, The Accelerator NYC, Cydan, Ixchelsis, Levicept, Lodo Therapeutics, NexImmune, Petra Pharma, Rhythm Pharmaceuticals and Vitesse. Barbara trained as a research scientist investigating interferons at The Medical College of Pennsylvania (now Drexel School of Medicine) where she received her PhD. Her pharmaceutical career started in the immunology division of Smith Kline & French Research Laboratories. She started venture investing in 1993 when she joined Smith Kline’s venture capital group, S.R. One, Limited and while there was a founding partner in EuclidSR Partners a private New York based venture capital firm where SmithKline was a leading limited partner. She currently chairs the Healthcare Subcommittee of the Partnership Fund for New York City. At Penn State, Barbara is an advisor to the Dean of the Eberly College of Science, where she received her undergraduate degree and was a member of The Penn State Research Foundation Board of Directors. She was also a board member of the Institute for the Study of Ageing, the NY Biotechnology Association, and the National Venture Capital Association, where she helped found and chaired their Corporate Venture Capital subgroup. 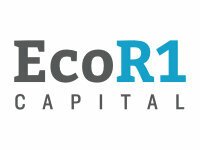 Vikas Goyal is Principal at SR One in the Cambridge, MA office. 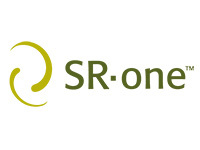 Vikas joined SR One in January 2011, after interning with SR One since 2009. Prior to joining SR One, Vikas was a consultant at McKinsey and Co, a co-founder of Extera Partners, and a business development manager at Infinity Pharmaceuticals. Over his career, Vikas has supported business and corporate development activities for nearly 50 large and small public, venture-backed, and angel funded life science companies. Vikas received his BA in Neurobiology from Harvard University, and his MBA in Health Care Management from the Wharton School of the University of Pennsylvania. He is a member of Class 17 of the Kauffman Fellows Society. Vikas represents SR One on the board of Calcimedica, Macrolide Pharmaceuticals and Spero Therapeutics. Medicine at University of Illinois, Chicago, he received his MBA from the University of Pennsylvania’s Wharton School of Business in healthcare finance. Ramy Farid is the President and a member of the Board of Directors at Schrödinger, joining in 2002. Dr. Farid also serves on the Boards of Nimbus Therapeutics, a biotech company he helped found with Atlas Ventures, and Morphic Therapeutic, another biotech company co-founded by Schrödinger. 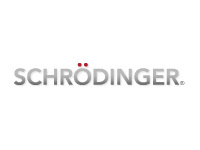 Prior to joining Schrödinger, Dr. Farid was an Assistant Professor in the Chemistry Department at Rutgers University. He was an NIH Postdoctoral Fellow in the Department of Biochemistry and Biophysics at the University of Pennsylvania and received his Ph.D. in Chemistry from Caltech. Latham Family Professor at Harvard Medical School and Professor of Medicine at Children’s Hospital Boston. Mallinckrodt Professor of Immunopathology at Harvard Medical School. Ulrich H. von Andrian, M.D. received his M.D. from Ludwig-Maximilians University in Munich, Germany. He did postdoctoral work at the La Jolla Institute for Experimental Medicine and, subsequently, at Stanford University in California. He then went on to Harvard in 1994 as an Assistant Professor of Pathology at HMS, and was Senior Investigator at the CBR Institute for Biomedical Research (now called The Immune Disease Institute or IDI). He is currently the Edward Mallinckrodt Jr. Professor of Immunopathology at Harvard Medical School. Uli is a member of the European Academy of Sciences and several professional societies from which he received professional awards for outstanding research. These include the Amgen Outstanding Investigator Award (ASIP, 2004), the Henry Pickering Bowditch Award (APS, 2006), the BD Biosciences Investigator Award (AAI,2007) and the Eugene Landis Award (MCS, 2010). Albert Robichaud joined SAGE as CSO in 2011, with more than 20 years of drug discovery experience focused primarily in the neuroscience arena. Most recently, he was Vice President of Chemistry and Pharmacokinetic Sciences at Lundbeck USA, where he was responsible for the drug discovery, analytical, computational and pharmacokinetics departments focused on synaptic transmission and neuroinflammation. Prior to Lundbeck, Al was Senior Director and Head of the Neuroscience Discovery Chemistry Department of Wyeth Research. During his tenure there, his group successfully delivered more than 15 drug candidates into clinical development in a broad range of neuroscience indications. Al has co-authored more than 125 manuscripts and abstracts, and is a co-inventor on 50 patents and patent applications. Heholds a B.S. in chemistry from Rensselaer Polytechnic Institute, a Ph.D. in organic chemistry from the University of California, Irvine and was an American Chemical Society postdoctoral fellow at Colorado State University. Dr. Violette was previously Vice President of Tissue Injury and Fibrosis Research at Biogen where she spearheaded a team of scientists conducting discovery research and developing translational approaches to advance programs into clinical development. From 2008 to 2012, Dr. Violette was Vice President of Research at Stromedix and led all research activities supporting the development of the αvβ6 antibody, STX-100. Dr. Violette has more than 20 years of industry experience advancing programs from early research to clinical development. She has provided strategic and operational leadership to multi-disciplinary teams of scientists and authored more than 90 manuscripts and patents. Dr. Violette has directed research and led therapeutic programs at several biotechnology companies including Repligen, Ariad, Stromedix and Biogen. She is currently Chief Scientific Officer, Admirx, Cambridge, MA. Dr. Violette received her Ph.D. in Pharmacology from Yale University and carried out her post-doctoral training in the Department of Biology at Yale University. Dr. Friedman is Chief of Liver Diseases and Dean for Therapeutic Discovery at the Icahn School of Medicine at Mount Sinai. His pioneering research in hepatic fibrosis supported by NIH since 1986, combined with mentoring of over 80 trainees have contributed to the emergence of fibrosis as an exciting new therapeutic area in hepatology. Dr. Friedman was a Senior Fulbright Scholar at the Weizmann Institute, Israel in 1995 and President of the AASLD in 2009. He has received the International Hans Popper and the EASL International Recognition Awards, and is a Fellow of the AASLD, AGA, ACP and AAAS. Yury V. Popov received an M.D. (1997) from Grodno State Medical School, Belarus and PhD in Biochemistry (2004) from Institute of Biochemistry of National Academy of Sciences of Belarus. He became the first scientist from Eastern Europe to win the prestigious Sheila Sherlock EASL fellowship award to pursue postdoctoral training in translational liver fibrosis research at the University of Erlangen-Nuremberg in Germany. In 2005, Dr. Popov relocated to USA to join faculty at Beth Israel Deaconess Medical Center and Harvard Medical School. Dr. Popov is currently directing a Liver Fibrosis Research Lab and Core and holding an appointment of Assistant Professor of Medicine at Beth Israel Deaconess Medical Center and Harvard Medical School. He is also an Associate Editor of American Journal of Physiology-Gastrointestinal and Liver Physiology, and ad hoc reviewer for over 30 scientific journals. Dr. Yury Popov’s laboratory’s major research focus is on liver fibrosis/cirrhosis and its life-threatening sequelae. Specifically, his team investigates the basic mechanisms of progression and regression of liver scarring, with the goal of the development of non-invasive diagnostic tools to measure these processes in the clinic, and novel therapies to prevent and reverse cirrhosis and its lifethreatening complications such as primary liver cancers.